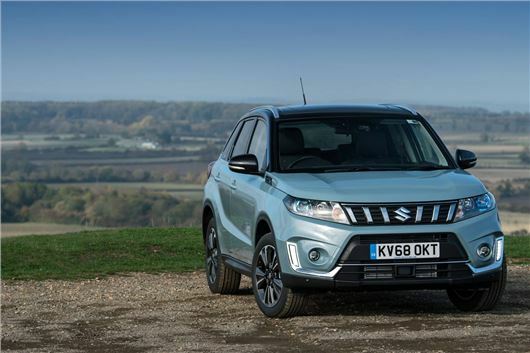 Motability Finance is offering 450 cars with No Advance Payment including Suzuki Vitara 1.4 Boosterjet 140hp SZ-T, Nissan Qashqai 1.5dCi 115hp Acenta Premium, Vauxhall Crossland X 1.2 110hp Elite; FIAT 500L 1.4 95hp Cross and Peugeot 308 1.2 PureTech 130hp Allure. The latest price list for the Motability Car Scheme offers customers a range of more than 2,000 affordable makes and models, with over 450 cars available with no Advance Payment. The spring price list features cars from 31 different manufacturers, such as Vauxhall, Hyundai, Toyota, Volkswagen and Peugeot, including a range of low emission cars, automatics and popular cross-over models. Customers can choose from more than 900 cars with automatic transmissions, over 50 of which are available with no Advance Payment, such as the Toyota Prius+ 1.8 136bhp Icon. Lower emission cars feature throughout the price list with over 150 cars with CO2 emissions of 100g/km or less. Options include the Hyundai IONIQ 1.6 GDi 141bhp Premium Hybrid available at no Advance Payment. More than 250 cars on the price list are available at less than the higher rate mobility allowance enabling customers means to spend their remaining allowance on other things. These include the small and tall SEAT Arona 1.6TDI 115bhp FR, and the Kia Stonic 1.4 98bhp 2. There are also more than 500 Wheelchair Accessible Vehicles (WAVs) to choose from, plus over 500 adaptations available to make driving and travelling easier and more comfortable. More than 150 adaptations are available at no extra cost. Cars that cost less than your mobility allowance – these cars are available to lease at a fixed weekly amount for the whole of the agreement, meaning that the remainder of the allowance, including any increases, will be paid directly to the customer by the Department for Work and Pensions. Cars that cost all of your mobility allowance – customers simply pay all of their weekly mobility allowance, including any annual increases from the DWP, to lease their car through the Scheme. Cars that cost all of your mobility allowance, plus an Advance Payment – customers can increase their choice of cars by paying a non-refundable upfront payment, known as the Advance Payment. This covers the difference between the allowance amount and the total cost of the lease.